What you see here is a dimple key with a part of the tip milled out (flattened). Han tried to insert a normal blank key, but that would not go in all the way. The lock really ‘checks’ for the key to be flat on the tip. At first this really puzzled Han, but when asking around he learned that this was done for large master key installations when they ran out of combinations. 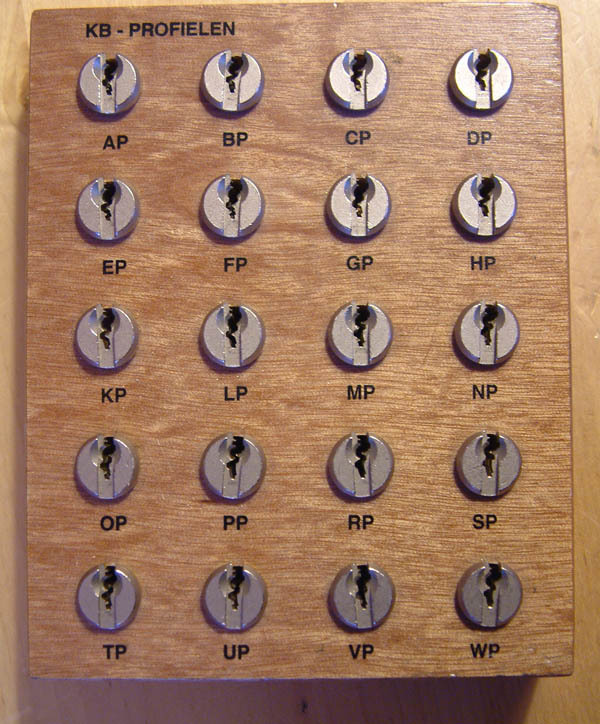 (imagine, fifteen pins and four possible depths per position … that must have been some master key system!). This is a pretty old system, yet it is interesting to still learn new things about it …. 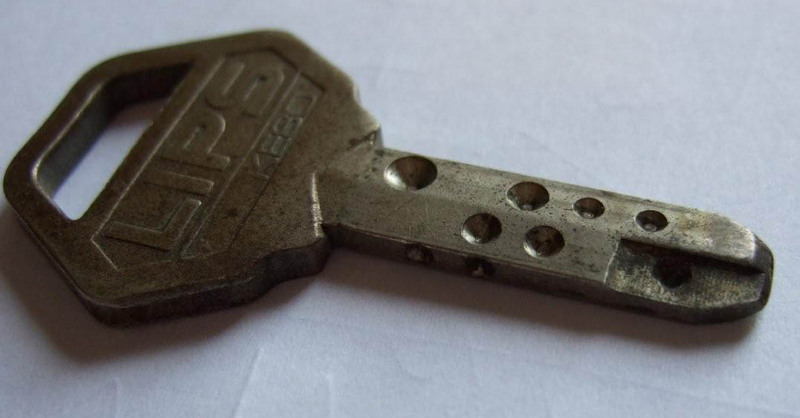 As long as I am into locks (and opening them) I have had a fascination with ‘restricted’ keyblanks. One of the systems you still see a lot here is the ‘KB’ series sold by Nemef (and made by CES). There is a range of twenty different profiles in this system, and in my impressioning kit I carry five blanks of each profile. 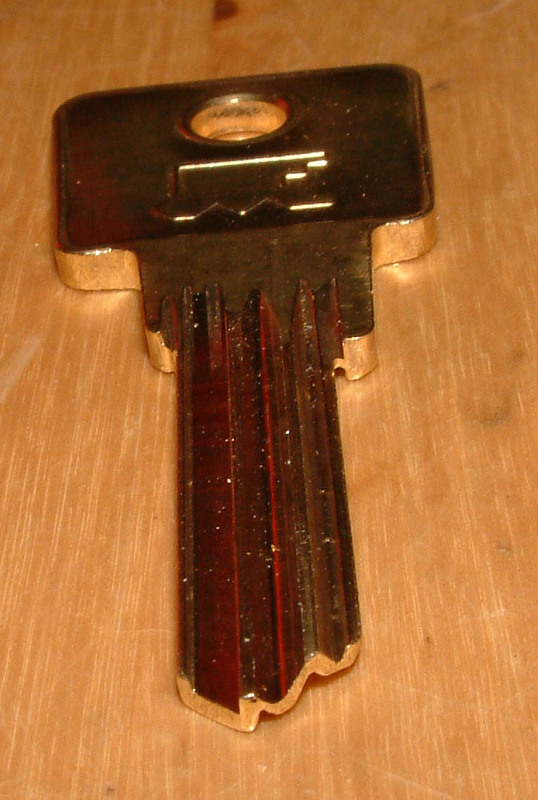 Three keys are the long ‘six pin’ version and two are the shorter ‘five pin’ version. Until last weekend. “DeciBell-120”, one of the most loyal Dutch Toool members, showed me a trick. If you take keyblank number 14 of the CS20 series and cut away two grooves, the blank will fit all twenty profiles! If there is one thing I have learned in life it is that you have to make investments to get anywhere. Whether it is time and practice to get good at lockpicking, or investing time and money to fly to international events like Aloa and other places, at the end it always pays off. Maybe not always in hard cash, but most of the time you make new friends and learn new techniques this way. It seems more people understand you have to invest time and money. When ever we organize an event like LockCon or the Dutch Open, we receive lots of requests from people that want to participate. And normally we have to disappoint quite some people as there just is not enough room and staff to keep control. This year is different as there will be no LockCon in Sneek. Instead of organizing our annual ‘semi-closed’ event, this year all our energy will be put in a ‘fully open’ lockpick village (LockCon village?) at the HAR2009 event (August 13-16 in Vierhouten, NL). This is where the ‘Dutch Open’ lockpick games will take place. The name ‘Dutch Open’ can be a little misleading as they are in fact the most international lockpick games on the planet. And at HAR we hope to get participants from all over the globe to battle for the title in the lockpick championships, impressioning games and a safe-combination lock manipulation contest. And it is your chance to participate in the games or see the action in real life! Needless to say there will be lock-related presentations. For instance, Jord Knaap, Han and I will be giving a presentation called: “bypassing electronic and electro mechanical locks”. And we will try hard to get more lock related presentations at HAR. Currently there is a ‘call for papers’, so if you want to present something submit there asap. 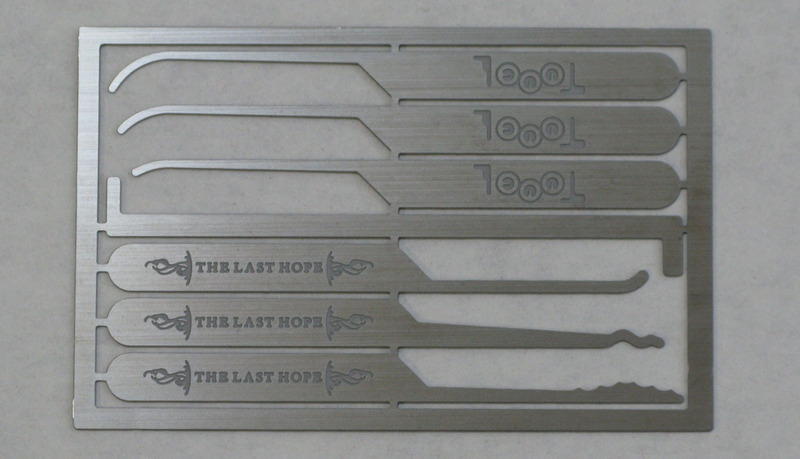 To run a high quality lockpick village is a serious task. Besides the many championships there will be a sportshop and ’round the clock’ workshops and sessions. These workshops range from the very basics to highly advanced. And we could not do all this without the help of our German friends of SSDeV. They traditionally have a big influence on the village as they supply many of the hard working staff and bring a big part of the hardware/sport shop. But hopefully this time we will get some support from Toool.US (special HAR2009 pickset?) and maybe from other locksport organizations (drop me a mail if you want to help/participate). If you are into locks and lockpicking, HAR2009 is the place to be! I know HAR is still ‘far away’, but I do urge you to buy your ticket(s) now! 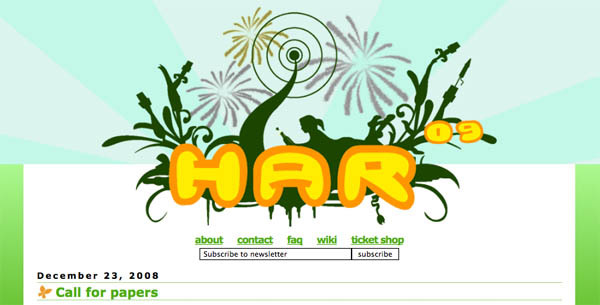 The HAR organization needs your money, and ordering a ticket before February 29th saves you 100 euro! And we like to invest a little too. Toool will sponsor the first twenty-five people that buy a ticket using the word ‘freepicks’ at the coupon code field with an original ‘last hope credit card pickset’ (and 5 euro additional discount)! I hope you enjoyed the holidays and are ready for a nice 2009! … I know I am!